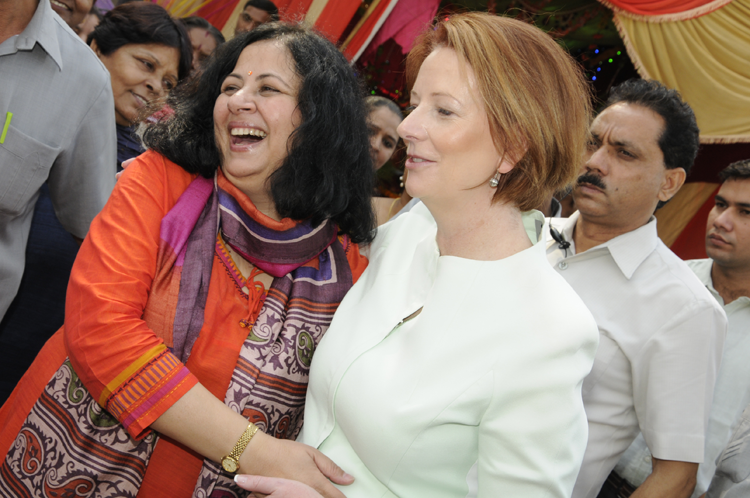 Dr Kiran Martin is the Founder and Director of Asha Community Health and Development Society. She studied at the University of Delhi’s Maulana Azad Medical College, gaining a Bachelor of Medicine and Bachelor of Surgery degree. 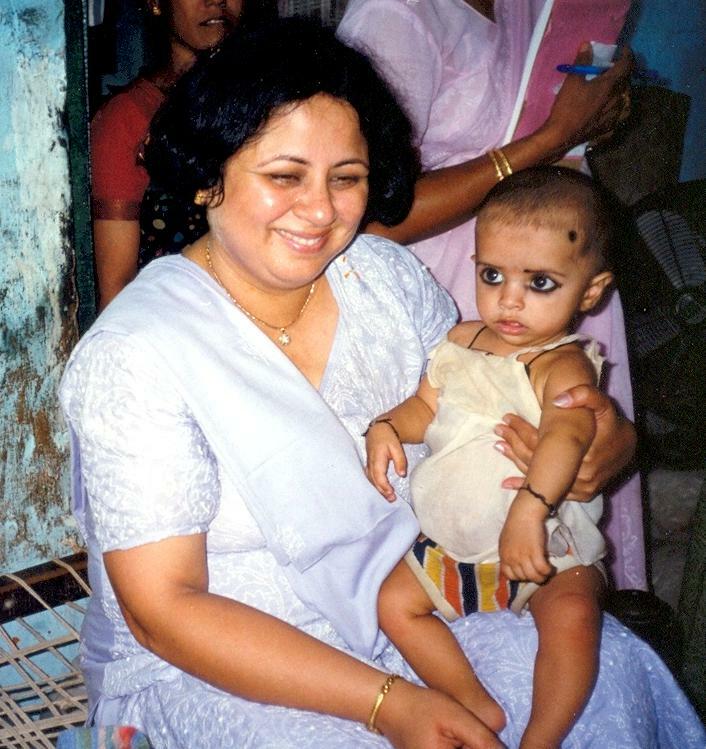 Afterwards, she specialised in Paediatrics at Lady Hardinge Medical College within the same university. In 1988, Dr Martin heard about a cholera outbreak in a south Delhi slum. Her Christian faith inspired her to use her talents to help the poor and marginalised, so she went to the slum, set up a borrowed table under a tree and began working to save lives. As Dr Martin learned more about the hardships and deprivation faced by the people there, she started to devise ways to address their problems. After some time, and with growing cooperation from the grateful community and the Indian government, she acquired like-minded helpers and began to form Asha Society. In 2002, Dr Martin’s achievements were recognised by the Indian Government when she was awarded the Padma Shri, one of India’s highest civilian awards, by Mr K R Narayanan, the President of India. Dr Martin has worked with Hon Mr P Chidambaram, India’s Home Minister and earlier the Finance Minister, to increase financial inclusion for slum dwellers, and Mr Chidambaram has also taken a keen interest in the progress of Asha’s higher education initiative. The Chief Minister of Delhi has shown support for Dr Martin’s work on many occasions, as has the Slum Commissioner of Delhi. Both state and national slum policies have been influenced by Asha’s work, and Dr Martin’s assistance has recently been sought by Hon Mr Kapil Sibal, India’s Minister for Human Resources and Development. In addition to Asha’s work being awarded Best Practice by UN-Habitat, it has also been praised, studied and replicated by organisations in many countries. Dr Martin’s work is supported by formal and registered Friends of Asha societies in Great Britain, Ireland and the USA. In addition, funding agencies such as Tearfund New Zealand, Tear Netherlands and ICCO Netherlands support Asha’s work, alongside international governmental agencies such as Irish Aid, NZ Aid, the Japanese government’s GGP programme and AusAid. Numerous overseas visitors have visited Asha and accompanied Dr Martin on slum visits where they saw firsthand the improvements in the health, empowerment and financial status of people in Asha project areas. These visitors have included Australia’s Prime Minister, Ms Julia Gillard, the Governor General of New Zealand, Mr Anand Satyanand, and the First Lady of Japan, Mrs Miyuki Hatoyama, as well as Cabinet Ministers from Ireland, the UK, Japan, New Zealand and Australia. In addition to appearances before the US House of Representatives and the British House of Commons, Dr Martin has been an international speaker for many years. She has lectured at prestigious universities such as Harvard, MIT and Cambridge, and spoken at numerous international conferences as well as given talks at hospitals, churches, and Friends of Asha events in various locations around the globe. In 2001, a book entitled “Urban Health & Development” was published after being written by Dr Martin in collaboration with Dr Beverly Booth and Dr Ted Lankester. In addition, the work of Asha has been cited in publications, research and case studies by institutions such as the World Bank, Tearfund and others. Dr Martin lives in Delhi a short distance away from Asha’s headquarters with her husband, Freddy Martin, Asha’s Associate Director. The couple has two children, Prerna and Madhuri, who are currently studying in the USA but remain involved in Asha’s work.